We love our TV quiz shows here at Lucky Games. One of my favourites at the moment is ITV’s The Chase, now in its third season the show continues to test the general knowledge of contestants under the pressure of being pursued by the formidable Chaser. 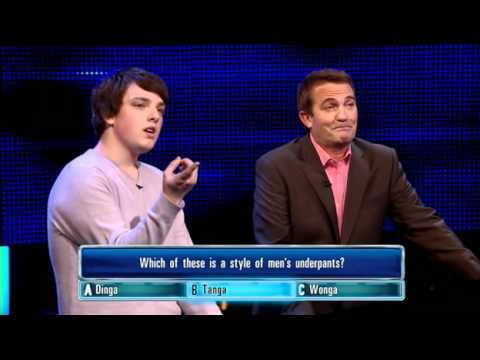 The Chase game is hosted by Bradley Walsh who is joined by the Chaser in the later part of the show. Did you know: There is currently 3 Chasers who take it in turns to film the show, they are – Mark Labbett, Anne Hegerty and Shaun Wallace. These 3 individuals are self proclaimed quiz geniuses who make it their mission that contestants win as little as possible. Want to be a contestent? If you want to appear on this game show then why not apply online. By filling in the application form online at the official website, you can face the chaser and if your lucky take home the cash prize on offer. Do not forget there are lots of other great TV game shows online. We have reviewed a number of great TV shows, unfortunately there is currently no online version of The Chase to play – but here are some fantastic alternative. Deal or no Deal game – Its now a reached “classic” status as one of the most popular game show, can you beat the banker? Golden Balls online – Still a popular TV show, this is one of the best TV show games you can play online. Family Fortunes game – The popular family game has a great online version which is fan and can be very profitable! What are The Chase rules? There are four key rounds to the game show. The first round consists of quick fire questions aimed at four contestants, the players must work together to build up their cash bank. The second step lets the players change their starting position on the board, the smaller the distance between players and the chaser means the bigger the prize money. The next rounds involve the Chaser using their substantial knowledge to answer as many questions as they can, players must evade the chaser to make it to the final round. The final chase is 2 minutes of all out action and the big question is: can the Chaser get home before the time is up? Do you think you could be the chaser? ← What's your Mecca Moment? Then on Wednesday 23rd March 2011 a contestant gave wrong answer and then corrected but Bradley said rule of game is first answer only applies. Elvis would celebrate his 100 bithday in 2036 NOT 2035 ! When are they bringing the chase game out for pc?